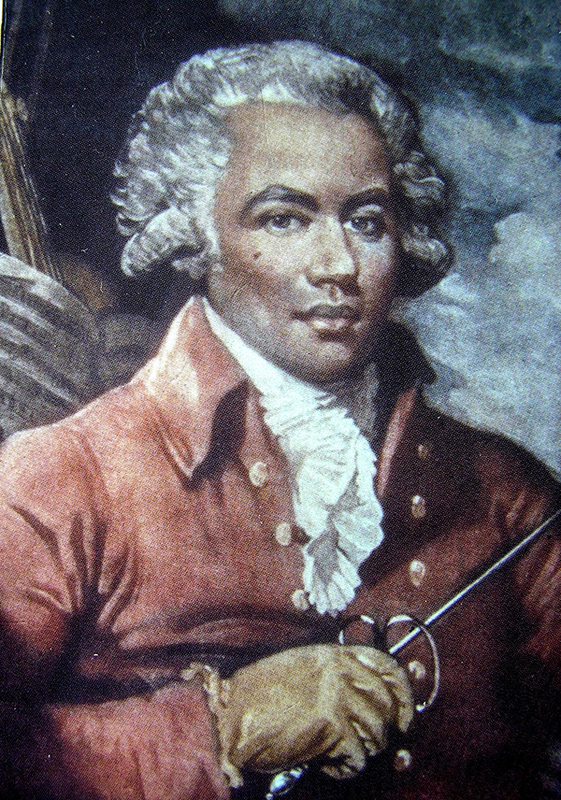 Joseph Bologne, Chevalier de Saint-Georges (1745 – 1799), was one of the most celebrated composers and violinists of his time, and yet his works are seldom performed and recorded today. The Sistema England Young Leaders learned and performed the Allegro of Saint-Georges’ Symphony No. 2 earlier this summer. As part of Black History Month this October, we launched the Go Saint-Georges Challenge, and are encouraging youth orchestras everywhere to perform this piece, or other works by Saint-Georges. How can you get involved? 1. Download and perform. Get the score and parts for the Allegro (see below) and perform it with your orchestra (there are no copyright or performance fees due). 2. Share the music. Do you know an orchestra that would love this piece? Share this link with them. 3. Share this story. Share this page on Facebook, Twitter and other social media with the tags #GoSaintGeorges and @SistemaEngland. To be part of a bigger conversation you could also tag @SphinxMusic and @Chineke4Change among the key orchestra change makers globally. Have you already performed the Allegro or another work by Saint-Georges? Tell us about it or post it on social media and tag us so we can share with our followers! Joseph Bologne was born on 25 December 1745 in Baillif, Guadeloupe, in the French West Indies. His mother, Nanon, was an African slave, and his father was French plantation owner George Bologne de Saint-Georges. At age 7, Joseph started his education in France and soon became a remarkable violinist and fencer. Saint-Georges composed 14 violin concertos, 2 symphonies, 8 sinfonie concertanti, 6 operas and several string quartets, sonatas and vocal pieces. He was first the concertmaster and then the conductor of the Concert des Amateurs orchestra. In 1776 he was nominated to direct the Académie Royale de Musique (the Paris Opera), but it is thought the Académie sopranos sabotaged his appointment by refusing to ‘submit to the orders of a mulatto’ (a person of mixed white and black ancestry). The composer, who inherited his father’s title as Chevalier de Saint-Georges, was a revolutionary at heart. He campaigned for the abolition of slavery in the French colonies, he was a commander for the republican forces during the French Revolution and he fought in some of the independence wars in the Americas. The Allegro Presto is the first movement of Saint-Georges’ Symphony No 2. It was was originally scored for oboe, horn and strings. Instrumentation: 2 flutes, 2 oboes, 2 clarinets in Bb, bassoon, 2 horns in F, 2 trumpets in Bb, trombone, timpani, bass drum, triangle, violins I & II, violas, cellos and double basses. Difficulty level: Approx. Grades 3 – 4. Sistema England used it with a mixed ability orchestra at approx. Grades 2 – 5. 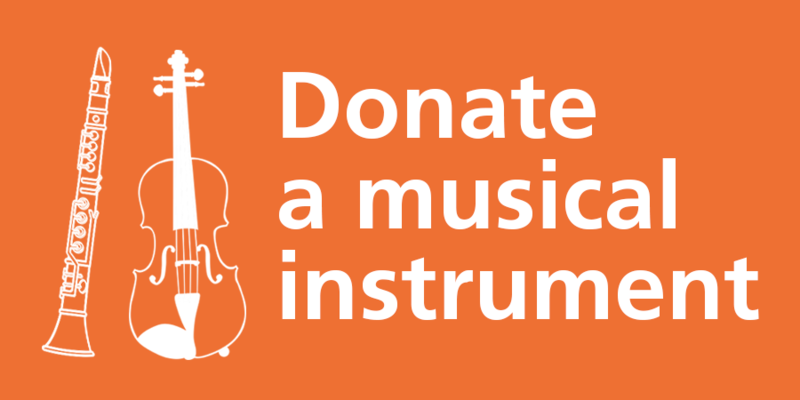 This piece is great for: Introducing junior youth orchestras to classical chamber music. It requires energy, precision and strong team work to pull off the simple but elegant melody. A largely homophonic piece, one of its strengths is that it risks minimal exposure for individual parts, and can therefore accommodate a mix of abilities. Ethos: Sistema England wanted the Young Leaders Orchestra to see that not all composers come from the same backgrounds, and that musicians can lead change through the repertoire they play.